Downtown, The Red Fez on Peck Street has long been a slightly off-the-radar favorite for food and cocktails: if you haven’t had their Fez Mac and Cheese, you’re not living right, and they have a reliably delicious menu of cocktails like the Gingered Gentleman, a spicier version of a Moscow Mule with bourbon, ginger beer, lemon and a candied ginger garnish. Recently, the Fez relaunched their upstairs as White Rabbit (@WhiteRabbitProvidence on social), a pared-down lounge with deceptively simple drinks (Mother’s Little Helper is described only as “Scotch, butterscotch, amaretto”), snacks, beer and wines like Lil Champ and Big Champ, depending on how much champagne you can handle. Sure, a vodka soda will get the job done, but unless you’ve been served an artisan cocktail from a bartender wearing arm garters at The Dorrance, you’re not living right. The downtown restaurant built its business in large part on the “just trust the bartender” school of mixology: you’re not quite sure how a cocktail like The Board Room (with Bols Genever, Evan Williams Whiskey, Averna and Leather and Hyde bitters) is going to work, but it just does. The restaurant uses lots of local ingredients and house-made potions: the Free Fallin’ has South County-made Sons of Liberty Apple Whiskey, with St. George Spiced Pear Liqueur, brown sugar syrup and house-made chai and clove bitters. During Prohibition, secret speakeasies were the only choice available for those looking to socialize over a cocktail. Now, secret bars are Instagram fodder for the in crowd. The Courtland Club on the West Side is the city’s buzziest new bar, and not only because it’s unmarked from the outside. Inside the old Crugnale Bakery at 51 Courtland Street is a super cool lounge serving small plates and a menu of “fancy drinks” and “pick-me-ups” including the Celery Sidecar with ginger brandy, curacao, celery and lemon, and the Pignoli Colada, a piña colada variation with pine nuts, rum, coconut and apple. Bathtub gin, sadly, isn’t on the menu. Any day is a good day to get an above-average cocktail at The Eddy, the downtown favorite for drinks and small plates. (Don’t sleep on the House Punch - it’s a new, not-too-sweet variation every week and, as it says on the menu, it’s what pirates drink.) On Sunday nights, though, they take their cocktail game to an even higher level with Sunday Book Club, where bartenders mix libations from classic cocktail books ranging from Death & Co., the recipe book from one of Manhattan’s best tippling locations, to Harry Johnson’s 1882 Bartenders’ Manual. The best neighborhood bars have fun activities to help you while away your leisure hours. Wickenden Pub may just have the most fun one: the no-frills bar has an Around the World Beer Club. If you drink all 99 of their American and international brews, the selection of which has Wickenden Pub rated as “excellent” on Beer Advocate, you get your name proudly displayed on the Wall of Shame. Of the over 9100 members of the club, fewer than 650 people have done it - though 65 have done it three or more times over. On the West Side, Julian’s is a line-out-the-door weekend brunch joint, but they’re known to beer geeks as a destination for carefully curated American and international beers. Among their over 50 bottles: Trappistes Rochefort 10 from Belgium, Orval Pale Ale from Luxembourg and Duchesse De Bourgogne Sour Flemish Ale. If you want to read up before you go, their website has extensive descriptions of all the offerings, plus links to additional content about the history of the beers. Then there’s the nearly 20 rotating taps, currently pouring Elizabethan Ale Barleywine from Sussex and Kriek Boon Lambic from Belgium. Ogie’s Trailer Park on Westminster Street may have an outdoor tiki bar slinging Hawaiian cocktails in the summer, but in the thick of sweater season, they’re all about the beer: 66 Ameri-cans, representing 18 states, plus Guinness (their only import) and a rotating selection on tap. The kitschy Americana runs high here - after you’ve filled up on classics like Schlitz and Old Milwaukee, or something a little more beer aficionado like the Dogfish Head 90 Minute IPA on draft, you’re going to need to take a constitutional to the Dolly Parton or Willie Nelson-themed bathrooms. 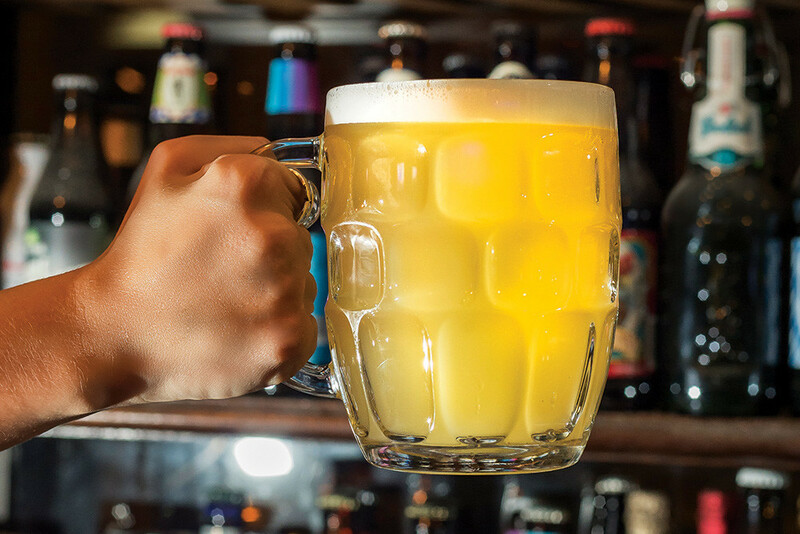 If you can resist the boozy milkshakes at Harry’s Bar and Burger, head straight for their beers. The restaurant, which recently expanded from just their North Main and Federal Hill locations to Lincoln and Newport, has a curated selection of “no crap on tap” craft beers you might not have heard of yet, but will soon start making repeat appearances in your life. Last month, Founders Brewing hosted a special Breakfast for Dinner event and served three of their breakfast stouts. In regular rotation are must-trys like Stone Neapolitan Dynamite from California, Two Roads Miles 2 Go from Connecticut and Brooklyn Defender Golden Ale from New York. At night, New Harvest Coffee & Spirits in the Arcade is a little hard to find - you can’t enter through the main doors to the Arcade, but rather have to go around to a little side entrance directly into the bar, but it’s worth it. 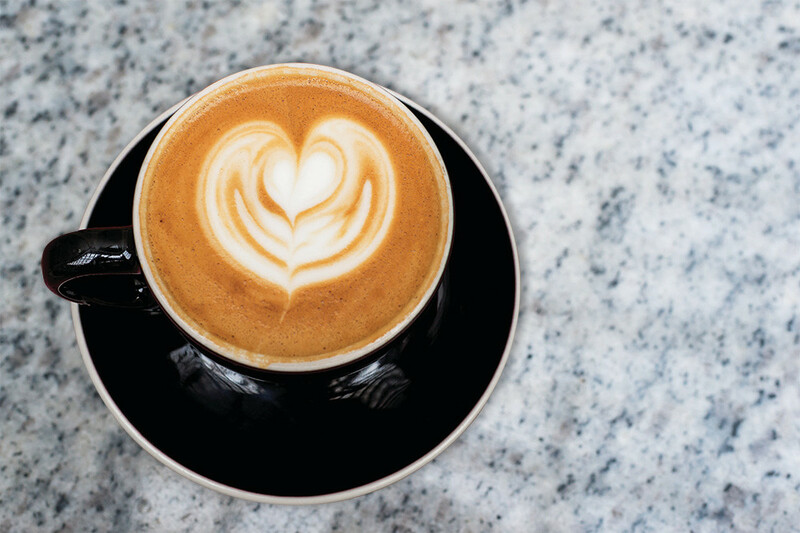 Inside, the coffee shop serves whiskey cocktails, made with New Harvest’s standout beans and a healthy sense of humor. The Stay at Home Dad, a bourbon brown sugar latte, is a cold weather favorite, as is the Irish Coffee. For non-whiskey lovers, there are classic cocktails and a couple of well-chosen beers on tap, and a different frozen drink (like the Frozen Root Beer Float with bourbon and Fernet) at the ready. When your whiskey options come on a separate menu, and that menu is six pages long, you know you’re in for a new experience. It only makes sense that The East End on Wickenden Street would have an extensive selection of bottles you haven’t heard of, given that its owners also own, well, Bottles. Of their 300 choices for whiskey, the pours range from $3 to $150. Your best bet is to belly up to the bar and talk to the bartenders about what you like, and let them choose something similar, or better yet, put together a flight for you. The three current flights on the menu have New England, Asia and Private Reserve Kentucky themes, but they’ll compile anything you’d like. The owners of Wara Wara on Hope Streetwant Providence to know that there’s more to Japanese food than sushi and bento boxes. Their menu of Japanese small plates and ramen features the kind of food served in izakaya in Tokyo: informal gastropub food meant to be shared over a cocktail. A big part of the experience is what you’re drinking with the food, and Wara Wara is looking to teach you a thing or two about that, too: think Japanese beers that go way beyond Kirin Ichiban, like seasonal on-tap offerings from Hitachino Nest, and an extensive selection of Japanese whiskeys like Nikka Coffey Grain Whisky, made in Asia with Scottish distilling techniques. The Avery started serving artisan cocktails in the once-impossible-to-find, now gourmet destination Luongo Square when green apple martinis were still a thing, and had a dedicated menu of Japanese whiskey before the U.S. knew that the Japanese even made whiskey. Now, they’re introducing Providence to Pappy Van Winkle, widely regarded as the best bourbon in the world and nearly impossible to find in this state. During Pappy Hour, Sundays-Wednesdays from 5pm-7pm, they pour Pappy and other hard-to-find “unicorn” bottles like Four Roses 50th Anniversary. 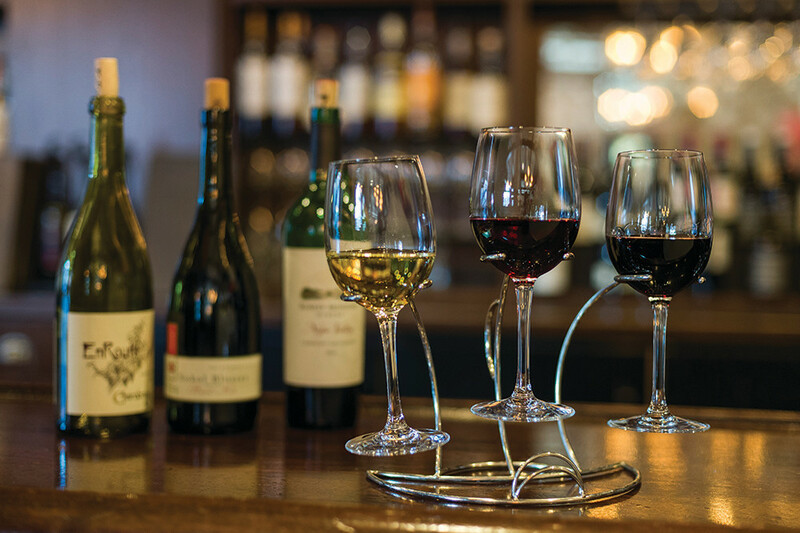 Though Mill’s Tavern on North Main Street has over 30 wines by the glass on their Wine Spectator award-winning list, you can’t possibly taste them all in one sitting. Go for smaller tastes of a wider variety with a wine flight. Current offerings include a Bouquet of Rose, with selections from Portugal, France and California; a Premium Progressive selection from California and Oregon; and three wines from Allegrini in Italy. Whereas your average wine list has five or six red selections by the glass and five or six white, it’s a whole different experience at Fleming’s in the Omni. The restaurant offers 100 wines by the glass, preserved by a wine system that removes all the oxygen from an open bottle. Because bottles can stay open for weeks or months, Fleming’s can serve what would normally be cost prohibitive: Dom Perignon is one of their 10 sparkling wines by the glass. Among their 36 Cabernets are some of California’s best vineyards, like Raymond, Rodney Strong, Stag’s Leap and Chateau Montelena. Normally electronics at the table are a faux pas, but not at The Capital Grille in Waterplace Park, where their 350-bottle wine list is presented through an app on iPads delivered to each table. Click through for details on each wine’s origin and suggested pairings; but if you prefer to do your research beforehand, the restaurant’s website lists their sommelier’s picks for wines worth tasting right now. It’s hard enough to know wine regions in your own country, never mind ones that are halfway around the world. So while you concentrate on memorizing Willamette Valley Pinot Noir and Alexander Valley Cab, you can let the sommelier at Pane E Vino on Federal Hill choose an Italian wine for you. Their 120 bottle list, broken down by regions in Italy, has everything from Venetian Amarone della Valpolicella to Barbaresco from Piemonte. So yeah, you’re going to need some assistance – but on Mondays, all wine is half off, so it’s a good time to explore.